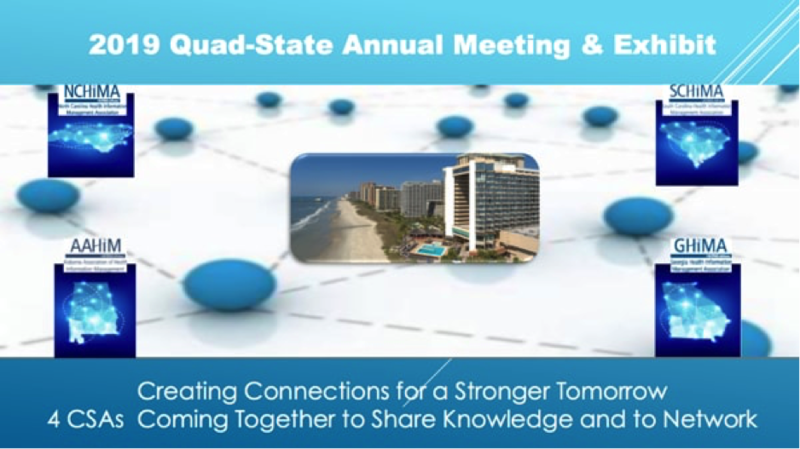 The 2019 Quad-State Annual Meeting & Exhibit will be held at the Hilton Myrtle Beach Resort and Convention Center, 10000 Beach Club Drive, Myrtle Beach, SC 29572, on May 5 – 8, 2019. 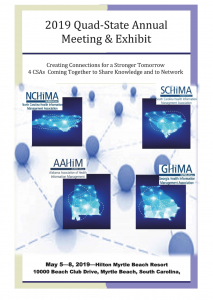 The Quad-State Program Committee is soliciting speaker abstracts for 1 or 2-hour education sessions. 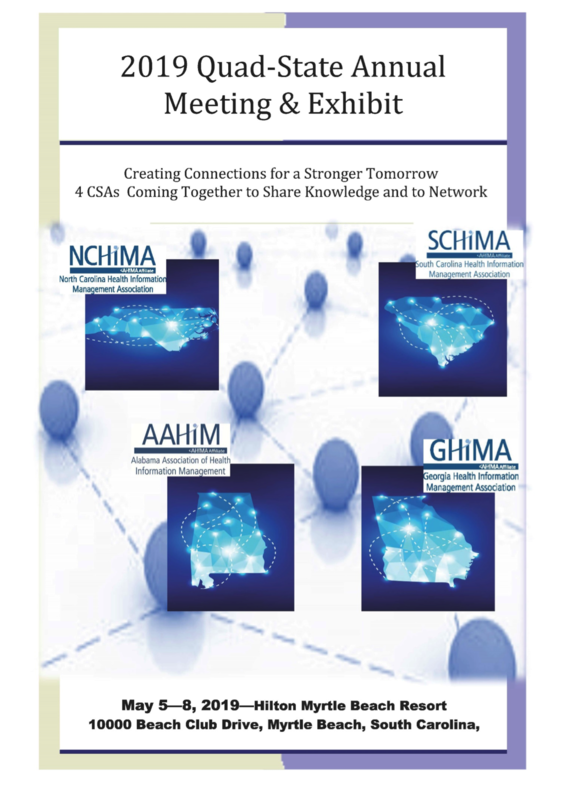 Our theme for the 2019 Quad-State Annual Meeting is “Creating Connections for a Stronger Tomorrow.” The message here being we are 4 neighboring component state associations of AHIMA coming together to share knowledge and to network. 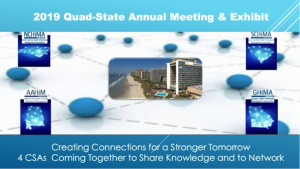 Only speakers selected for our 2019 Quad-State Annual Meeting by the Program Committee will be contacted by email to confirm the speaking engagement.